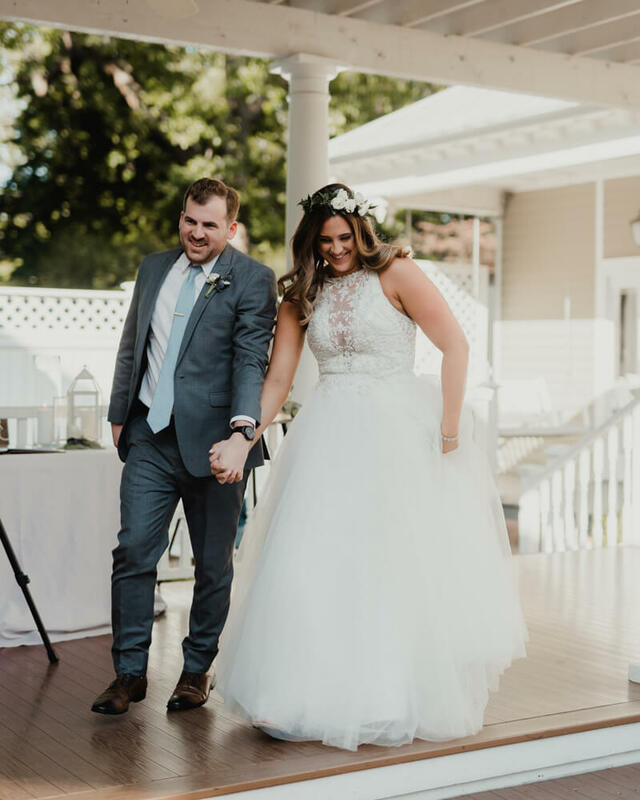 From the photographer: Chris and Erica were so fun to work with and the beautiful venue made for a great ceremony! 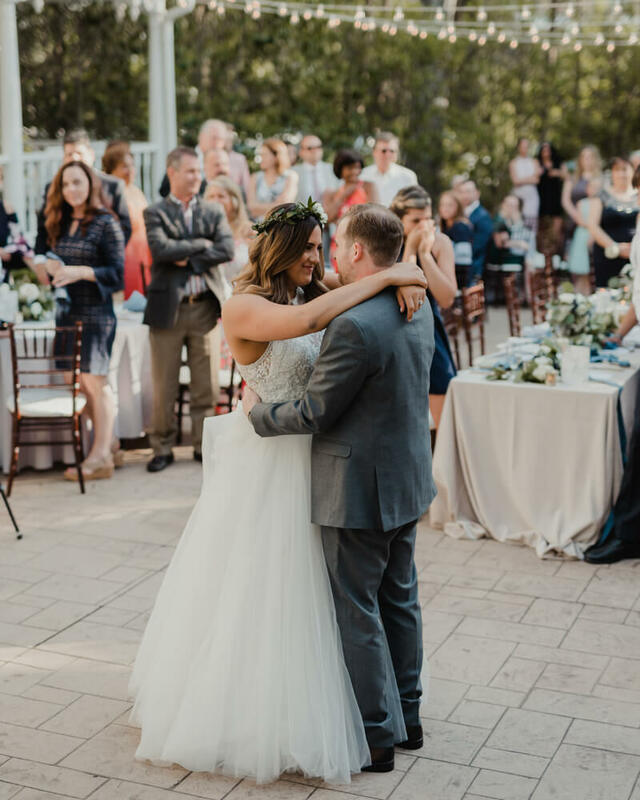 Read Erica's story below. A: We have a "swipe right" love story. We met on Tinder and had our very first date with some friends of mine, they talked me into inviting Chris at the last minute and although he had already had dinner he insisted on paying for my meal. The next weekend he took me out on a proper first date and from there we started our journey. The proposal was on a trip to Mexico with his family. Being the picky person I am I could not let Chris pick out a ring without me having a say in it. Not that I didn't trust him but I just have very specific things I like, I am horrible at making decisions but when it comes to fashion it is always a yes or no for me. Earlier in the year Chris and I went to look at rings and I left him with a few styles to choose from and told him I would be happy with any of them. On our second night in Mexico Chris took me for a walk on the beach at night and proposed. Fun fact, May in Mexico is Sea Turtle Nesting Season so all of the resorts have their beach facing lights off so the turtles do not get confused by the lights. 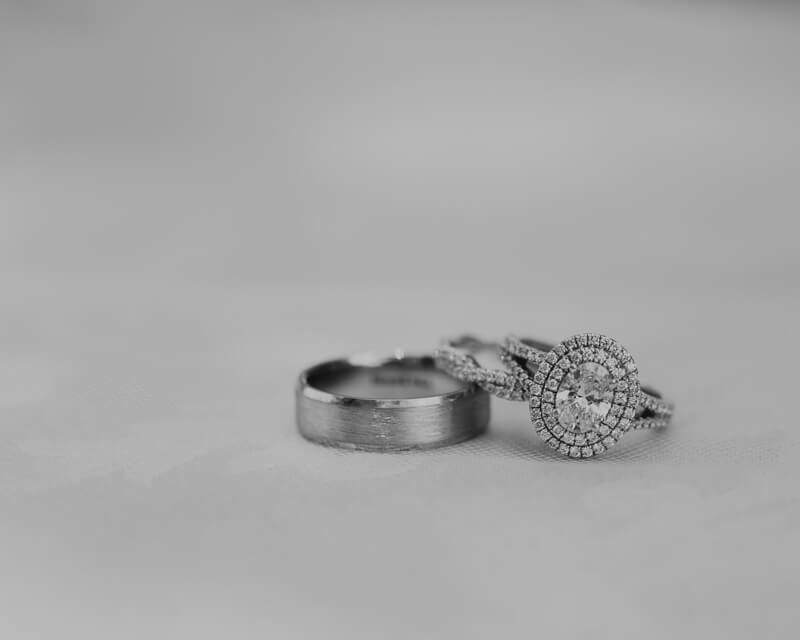 I couldn't fully appreciate the ring until we were back in the light but the whole night was perfect and the ring was everything I had dreamed of. A: One night I feel down a very deep Pinterest rabbit hole but I came out with the most amazing wedding idea. I couldn't sleep that night because I have travel anxiety and we were flying out the next day. 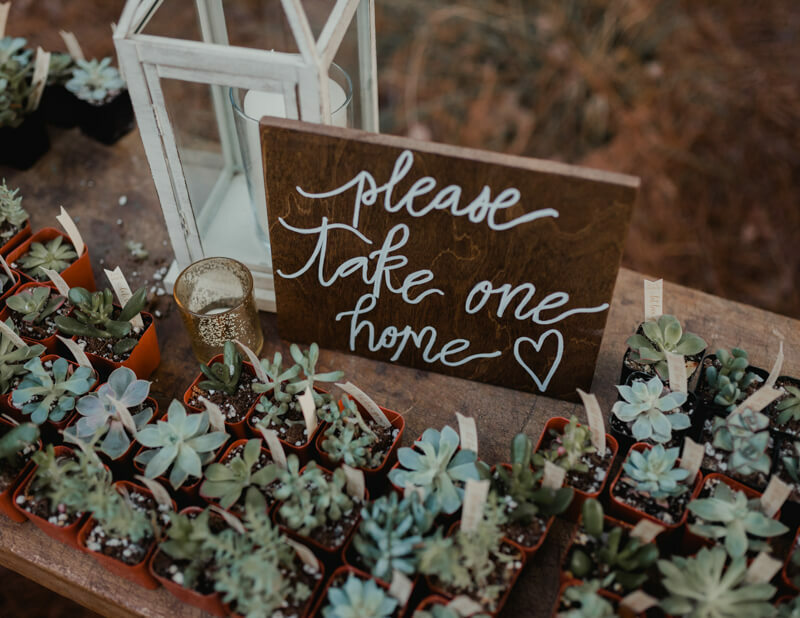 I was scrolling through Pinterest and saw a wedding that was based on "dusty" tones and I thought, wow, that is beautiful and different so thus began the fall. 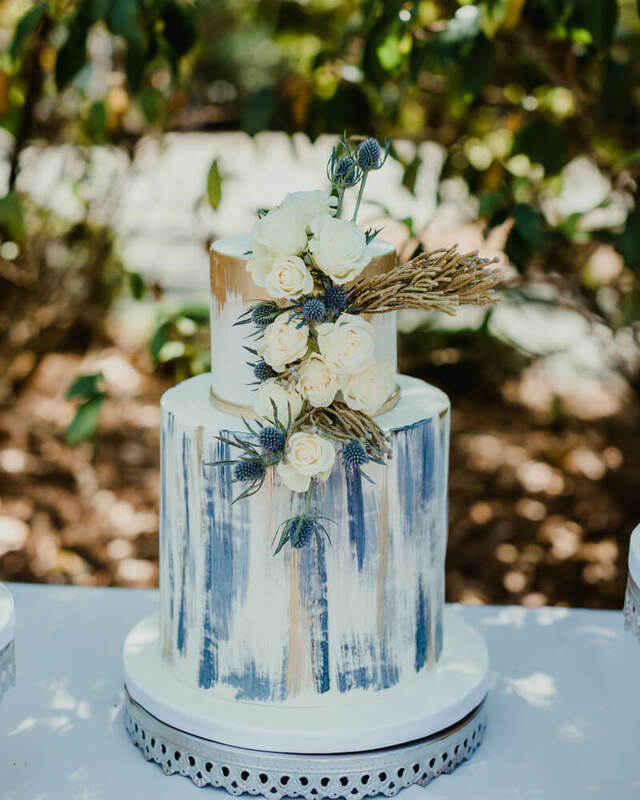 I found a few weddings that used the dusty blue tone and I love blue, my whole house is based on shades of blue, but I also knew it would be hard to get away with this in North Carolina, home of UNC Chapel Hill. I have nothing against that university, but Carolina blue was never my dream color so I really started to hone in on this idea of a dusty blue/slate blue/steel blue idea. I found a few pictures that encompassed the whole idea I was looking for and presented it to Chris. Once he told me he loved it I started to build out this idea with flowers, decorations, stationary, cake ideas, etc. When we took it to Natasha I knew I had struck gold and within a week she sent us back a design proposal that had everything we were looking for and more. 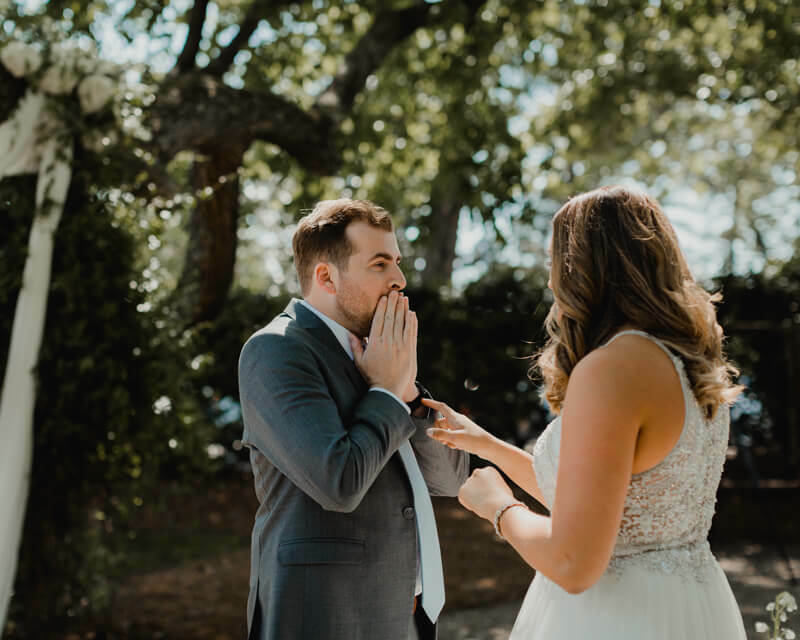 A: Wedding planning can be stressful, family and vendors only add to that stress so you have to keep in mind that the day is about you and your fiancé. Both of you, groom-to-be included, should be making the decisions and they should be decisions that make both of you happy and adding elements to the celebration that both of you want. As for the big day, it really does go by in a blink of an eye so savor every single moment. There are so many little things that come together to make an amazing day and you don't want to miss a single thing. As soon as we drove away that night I looked at Chris and said "Can we start this day over again?" and I hope that every couple looks back at their day with that much love and excitement.